Suggested delivery date is two days before your event. For Sat., Sun. or Mon. events, select Thurs. delivery. 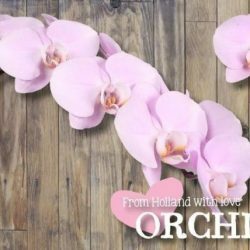 Imported from Thailand, Mokara Orchid have multiple blooms per stem making them a perfect fit for special floral arrangements, centerpieces and bouquets. You will find many uses for Mokara Orchids, use them to make corsages, table decorations and leis. Buy Wholesale Bulk Fresh Cut Dark Red Mokara Orchids Flowers Onl ine. We suggest scheduling the flowers to arrive 2 days before your event in order to allow the flowers to hydrate and open in time for your event. Please visit our Fresh Flower Care link below for information and tips to ensure best flower performance. All images are from the actual flowers, due to different monitor display settings, the shade may vary to a small degree from product image shown.